November 28th 2018, Malta: The Hendon Mob Championship will kick off 2019 on The Baltic Sea, as the THMC team heads for Tallinn to team up with MPN Poker Tour for the first time. The Hendon Mob Championship premiered at the Malta Poker Festival in November, where 491 players from more than 30 countries converged on the island to generate a €105k prize pool. Now the team will head for the Estonian capital where the MPNPT will be in town from 23th – 27th Jan. The Hendon Mob Championship Tallinn will run over 2 days from 26th Jan and feature a €200 + €20 buy-in, alongside the €200k guaranteed MPNPT Main Event. “The goal of THMC from the outset was to connect the near 1 million poker fans who visit our network each month, with the best grassroots tournaments in Europe and beyond. The best way to make this happen is by partnering with Europe’s best live event providers and combining our expertise to create an unparalleled player experience that will keep players coming back” said THM Head of Poker Content, Roland Boothby. 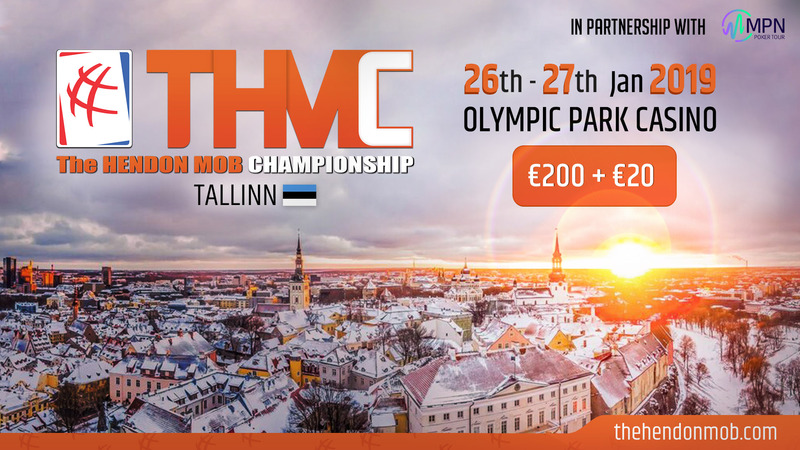 The find out more about THMC Tallinn in association with MPNPT, including location, accommodation and qualification packages, please visit this link or email [email protected] for any specific enquiries.